This package provides a level of detailed analysis and expert commentary not found elsewhere. The package includes the Container Census and Leasing Annual Review & Forecast, together with four quarterly Container Equipment Insights, delivering a full and up-to-date picture of the container equipment and leasing market for the duration of your subscription (12 months). This is Drewry’s annual review of the container equipment and leasing industry, including a range of forecasts unique to Drewry. This annual report is also available as a stand-alone report rather than part of a subscription. 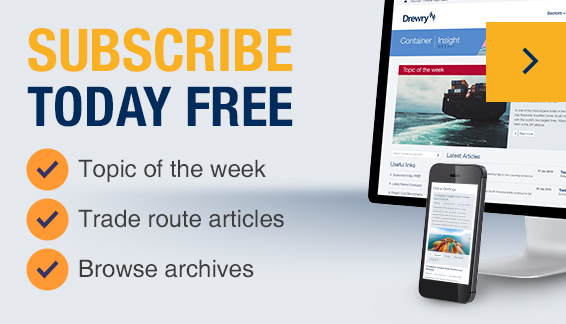 Published in July, October, January and April, the Container Equipment Insight is only available to subscribers of Drewry Maritime Research’s Census & Leasing annual report.